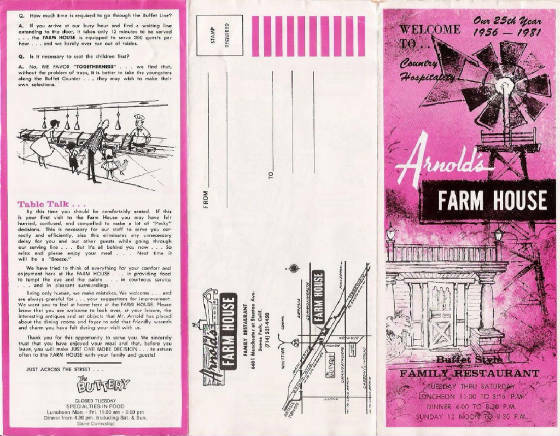 One of the famous landmarks in Orange County was Arnold's Farm House, a buffet-style restaurant in Buena Park, on the corner of Stanton and Manchester, just a block from Knott's Berry Farm. I was started in 1956, supposedly from an old farm house that had been standing there since the early 1900's. It was a landmark because of the huge neon windmill drawing in families tired from a day at Knott's. 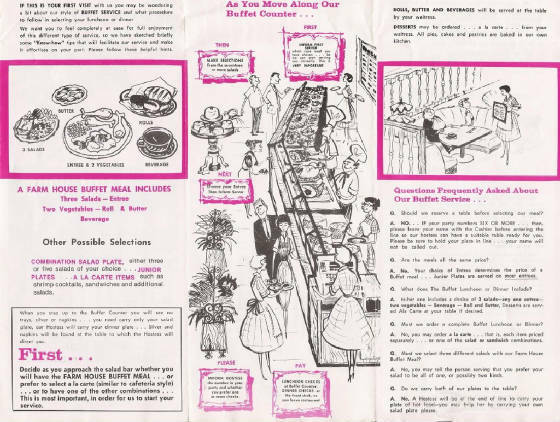 The family that owned Arnold's Farm House, also owned The Buttery, another restaurant on the other side of Stanton, but a traditional, up-scale place. The restaurant finally gave way to the wrecking ball in 1988, and is now the home to a car dealership.